All the September issues and other worthy fashion reading materials are touting this season's super trendy coats. While I love a pink trench coat just as much as the next girl, I am constantly reminding myself that the price tag for said coat might not be worth the lack of longevity when said trend has been shelved for another 20 years. I feel it would be remiss of me not to revisit this timeless classic. As far as coats go, in my opinion you can never go wrong with classic neutrals like black, navy, brown or grey. However camel has always been in a league of its own conjuring images of stunning glamour through the ages. 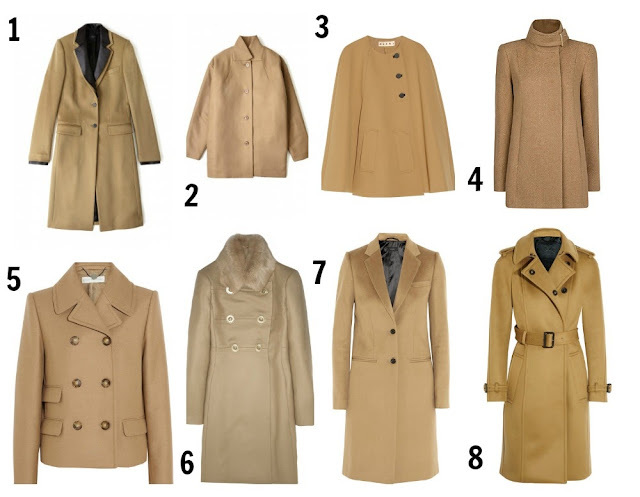 With a camel coat, you're always in style... Save the trends for scarves and hats in pink, polka dot and the like. They're also easier to store when they fall out of Vogue until they come around again.